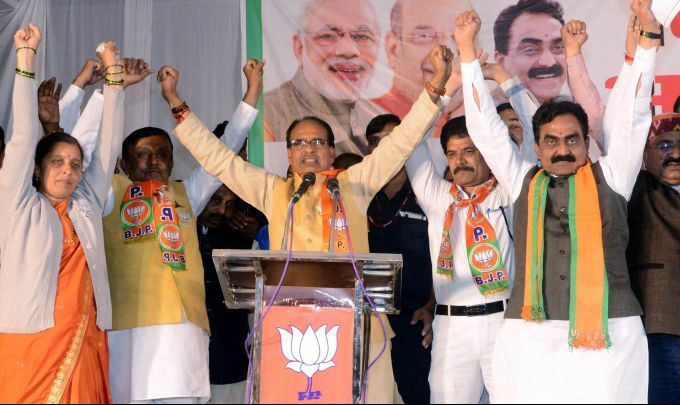 Jabalpur: Madhya Pradesh Chief Minister Shivraj Singh Chauhan addresses a rally ahead of Assembly elections, in Jabalpur, Wednesday, Nov 21, 2018. 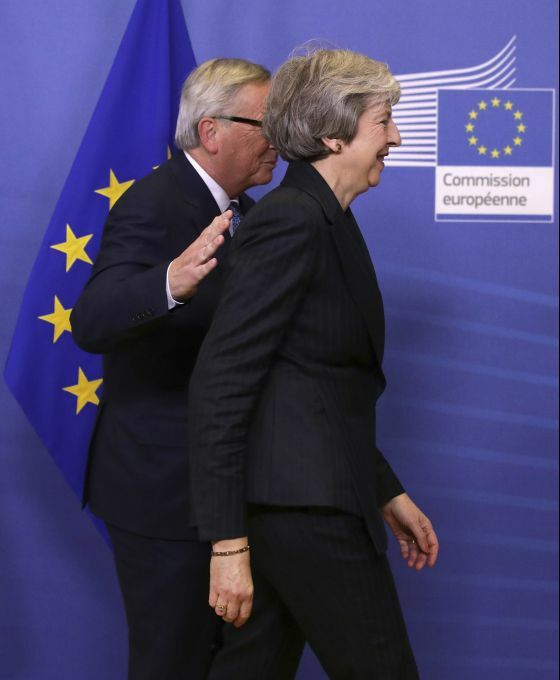 Brussels : European Commission President Jean-Claude Juncker, left, pats British Prime Minister Theresa May on her back upon her arrival at EU headquarters in Brussels, Wednesday, Nov. 21, 2018. 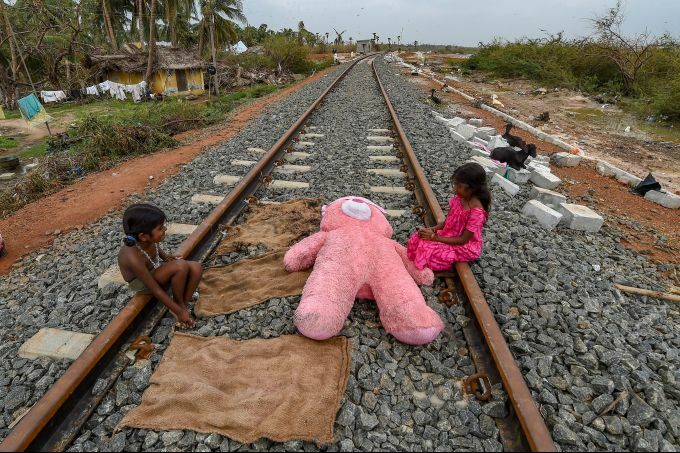 Thanjavur: Children wait for their soft toy to dry up as they sit on a railway track running past a fishermen's village which faced destruction due to cyclone Gaja, at Adhiramapattinam in Thanjavur district, Wednesday, Nov. 21, 2018. The cyclone made landfall near Vedaranyam in Nagapattinam district, about 350 km from Chennai, at a speed of upto 120 kmph, claiming 46 lives and leaving a trail of destruction in over 10 districts. Thanjavur: People from a fishermen's village dry their belonging after it was affected by cyclone Gaja, at Adhiramapattinam in Thanjavur district, Wednesday, Nov. 21, 2018. 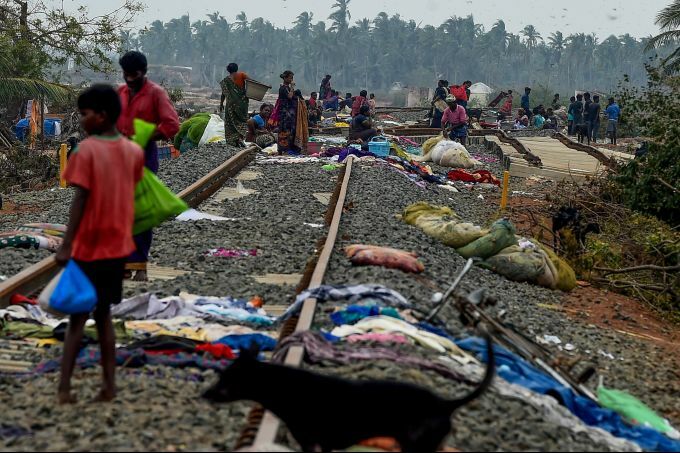 The cyclone made landfall near Vedaranyam in Nagapattinam district, about 350 km from Chennai, at a speed of upto 120 kmph, claiming 46 lives and leaving a trail of destruction in over 10 districts. 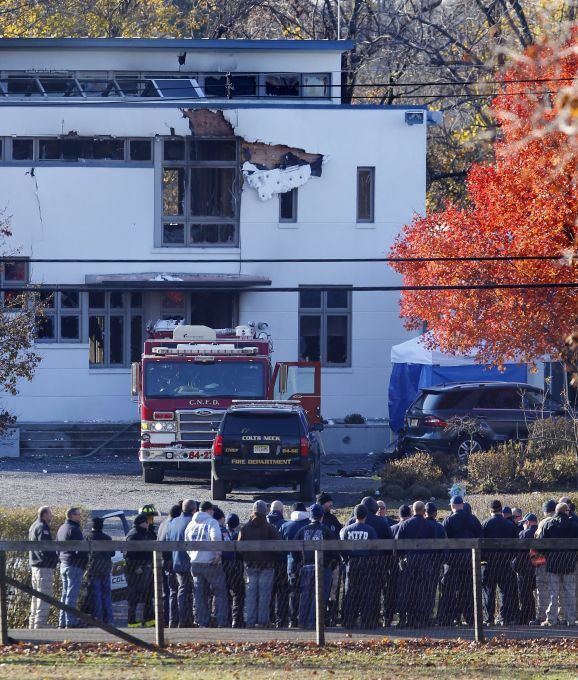 Colts Neck : Authorities gather Wednesday, Nov. 21, 2018, in Colts Neck,N.J., to investigate the aftermath of fatal fire that killed two children and two adults. Authorities say two adults and two children were found dead the day before at the scene of a burning mansion near the New Jersey shore. 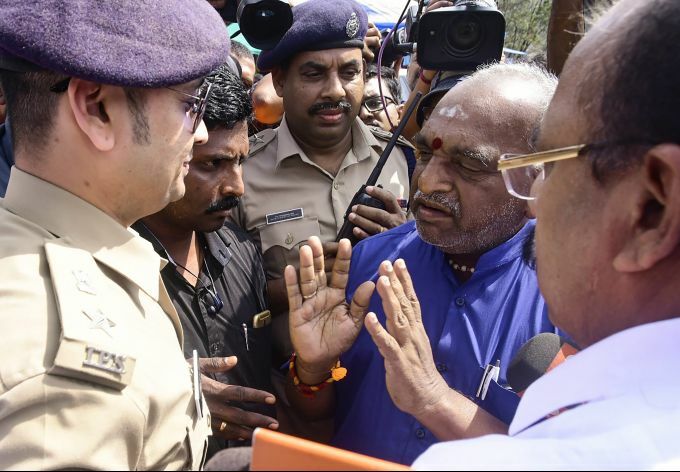 Pathanamthitta: Union Minister of State for Shipping Pon Radhakrishnan talks with a police official at Nilakkal, in Pathanamthitta, Wednesday, Nov. 21, 2018.